So, why should you learn web scraping and who is doing web scraping out there? 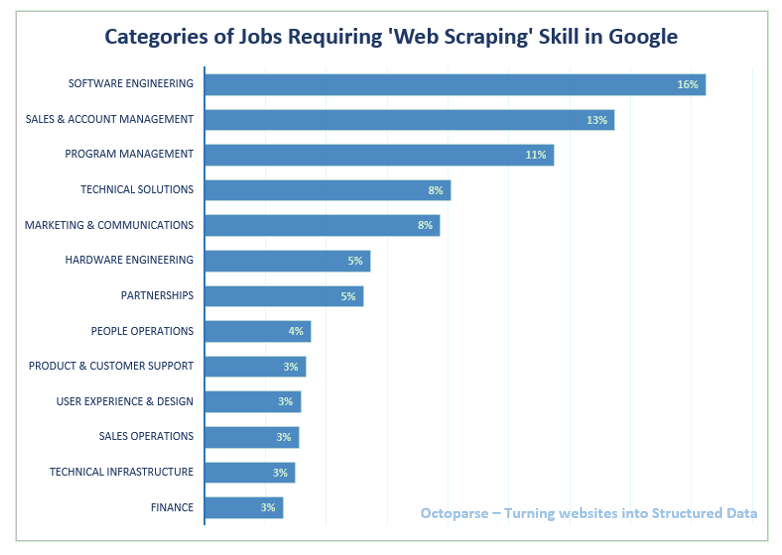 We are going to address this question by looking into the different industries and jobs that require web scraping skills. To do this, we've compiled and analyzed the data extracted from job sites, including Indeed, Glassdoor, and LinkedIn. 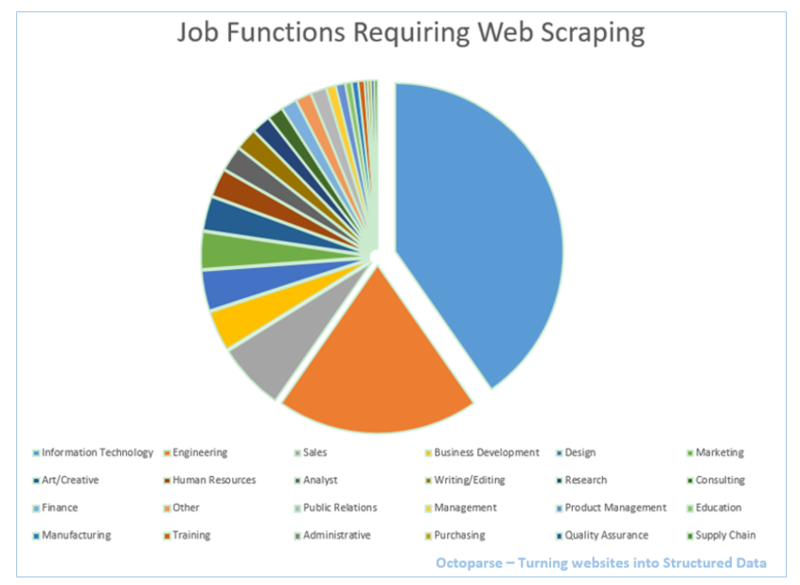 At last, we also explored web scraping jobs in Google and Youtube, to find out how many jobs requiring web scraping skills and what are the other requirements besides web scraping. 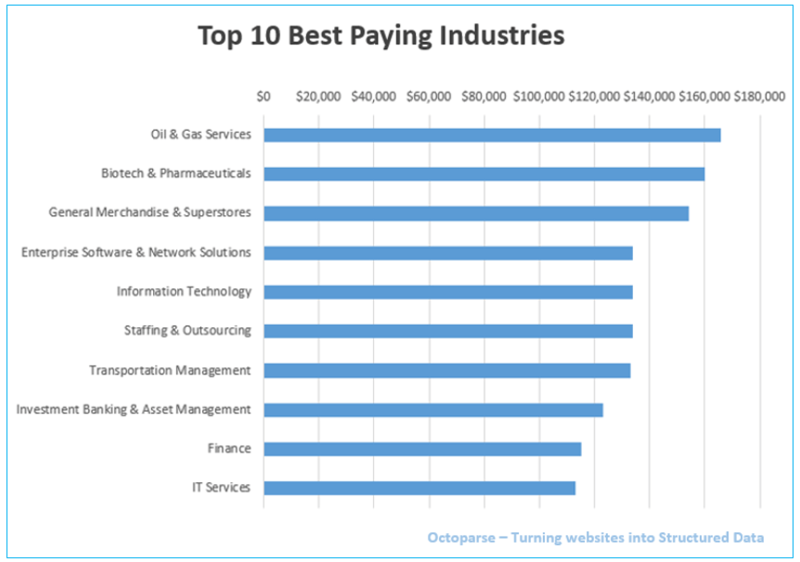 The other industries include Oil & Energy; Construction; Consumer Goods; Defense & Space; Staffing and Recruiting; Hospital & Health Care; Education Management; Nonprofit Organization Management; Pharmaceuticals; Publishing; Research; Electrical/Electronic Manufacturing; Government Administration…etc. This is also based on the information on LinkedIn. 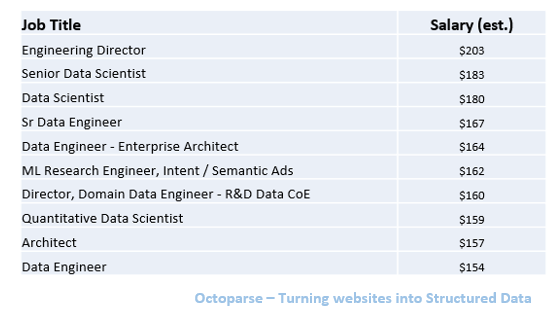 There is no doubt that the most jobs requiring web scraping are tech-relevant ones, like Engineering, and Information Technology. 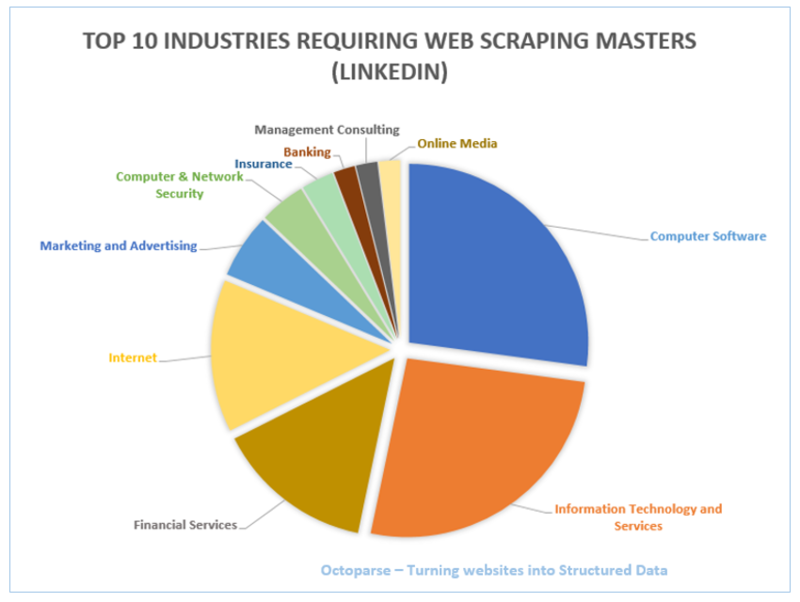 There are, however, surprisingly many other kinds of works also require web scraping skills such as human resources, marketing, business development, research, sales and consulting, writing/editing. 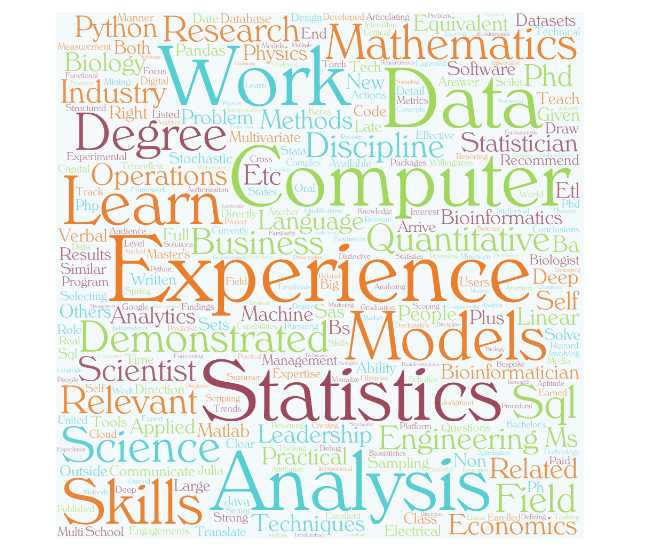 We also explored the average pay among different industries, based on the same dataset extracted from Glassdoor. Information Technology only ranks No.5 on the list. 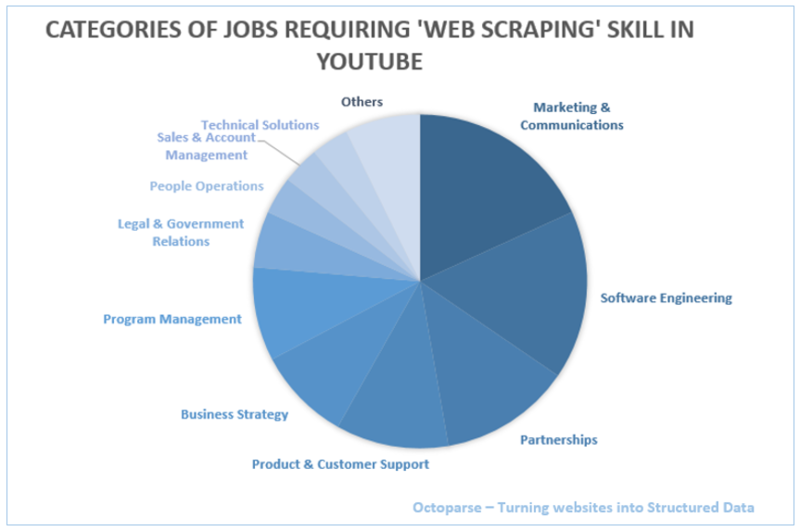 YouTube, a subsidiary of Google, is another example of a tech company of different size and service than Google while also requiring a high level of web scraping skills in different job positions. 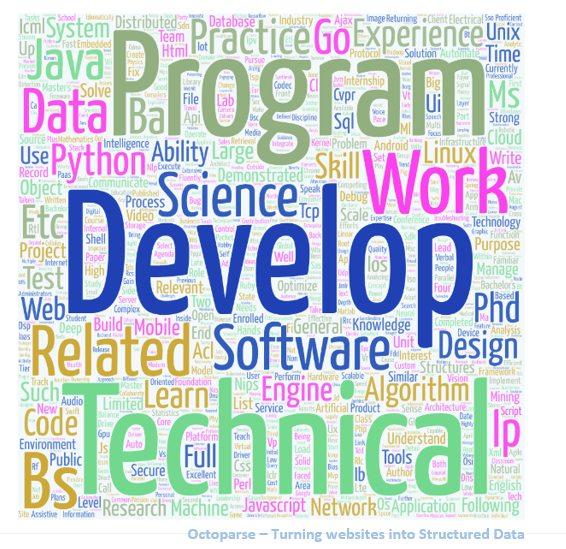 Besides the requirement of web scraping, we also want to find out other requirements on Software Engineer, Sales & Account Management, and Data Scientist in Google. 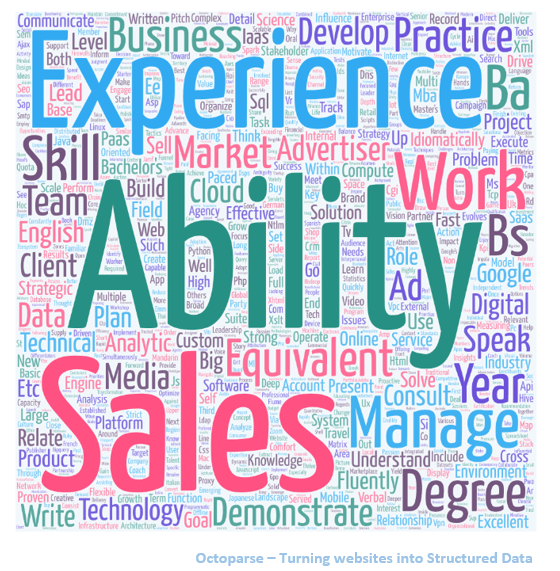 Following are the word clouds about requirements on these two jobs.